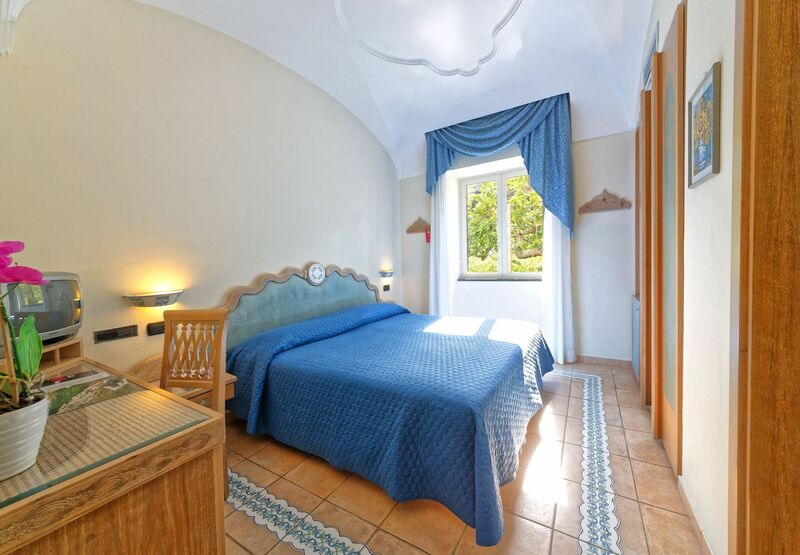 Hotel Punta Imperatore is located in Forio d’Ischia (near the bay of Citara) just 20 meters from the beach and 70 meters from the famous thermal park Giardini Poseidon. The main places of interest (including the center of Forio, just 1 km away, where you can stroll along the shopping street) are easily accessible by public transport. The nearby bus stop (15 meters) facilitate the move. Ischia is rather large island: about 80 Km of network of roads. We recommend to move over on foot only in city centres or country routes. During tourist period the traffic increases and so we recommend the use of bikes only for local movings. The island has taxi and minitaxi Ape service, multi-place (always well regulated by taximeter), and regular bus service of SEPSA. The bus-line joins most of towns to Ischia town near the Port. Tickets are avaiable expecially at bookstalls, bars, travel agencies, tobacconists.